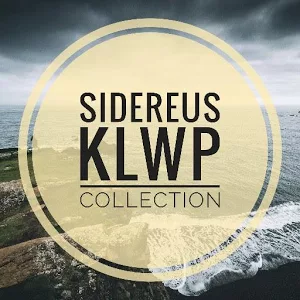 With Sidereus KLWP Collection you can have all my future wallpapers without spending a penny anymore! 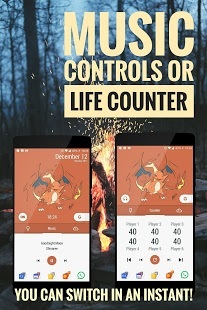 Guide to the use of KLWP and “Jarvis For KLWP” home. 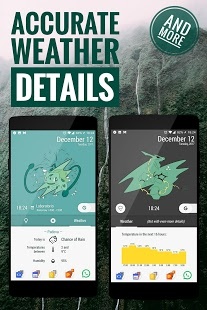 Open Kustom Live Wallpaper (KLWP) and go to the settings. Select a meteo provider that provides the chance of reaning informations (I use weather.com). Then, select a “primary location” and an “alternate location 1”, usually the primary one is based on the gps informations when available, but you may choose a specific city. The weather screen will show the general forecast (through the icon) and the chance of raining of the next 12 hours (through the process bar and percentage) of the two chosen cities. There are many shortcuts to various apps throughout the home. If you go to the “globals” section through the “modify” screen of KLWP, you’ll find the colors of the buttons; modify the color from transparent to visible, and save it in order to explore the home and to see the clickable areas. Then, go back to the settings of the wallpaper and adapt the buttons to the apps using the “shortcuts” section. ( For example, by clicking the write “free storage” or the percentage at its side, you’ll open the file manager. It will be the one that I setted, Solid Explorer, but you can set the one that you want). Feel free to play with the whole home modifying it as you need! IMPORTANT NOTE: In the central screen, if you use the “+” button you’ll open the wifi, data and notification informations. If you use Nova Launcher, by clicking on the notification counter you’ll expand the notification bar, so you can avoid moving your finger up to the top of the screen in order to open it. It’s very comfortable if you have a big screen, but it works using a specific setting of Nova Launcher. If you don’t use this launcher, you can still use the button setting a different shortcut. You may face some problems if you have an Huawei, HTC or any phone that doesn’t natively support the scroll of the wallpaper images. But there is a not-too-difficult solution that will (hopefully) fix all the issues. -From the Nova settings, go to “Desktop” -> “Wallpaper scrolling”. Set it on “force”. Also use the same setting if there’s a similar option in the sistem settings. -Put five pages in the launcher (Nova permits to put many blank pages) and set the third, the central one, as home/desktop. -Set a normal large pic as background and check if it scrolls as the pages scroll. (If it doesn’t scroll, try to set “inverted scroll” on Nova and see if it fixes the problem). -Download any animated wallpaper based on the page scrolling from the Play Store, and set it. (Long press -> select it using the Nova Wallpaper selection). Check if everything works. 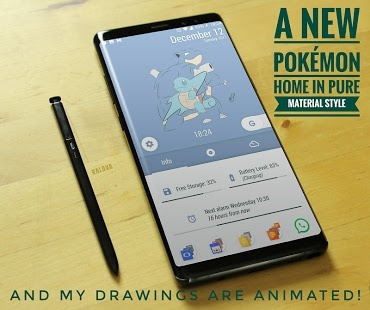 -Reinstall KLWP and load my Wallpaper without setting it (push the “save” icon above on the right, but don’t set it as wallpaper from the shortcut). -Good, everything should be fixed! 0 Response to "Sidereus KLWP Collection v2018.Jan.14.15 APK [Latest]"